I went to Portugal in March. The house I was staying in had eight rooms. I was staying with Daniel and a family of three. The boy I was staying with was nine years old and his name was Martin Gomes. His mom was a teacher and his dad liked cycling. They had three bedrooms, a living room, a dining room and kitchen in the same room, a bathroom and an attic. They had two big lassie dogs and three birds. One dog was called Eddie and the other was called Shackeela. They had a very nice house and I liked staying there. The first day we went to the school and had a look all around it and made satellites out of tinfoil and bottles. The school was very big and the students had to scan a card at the gate to get into the school. At about 4 o’clock we went to the salt mines. Then we went home with our families. 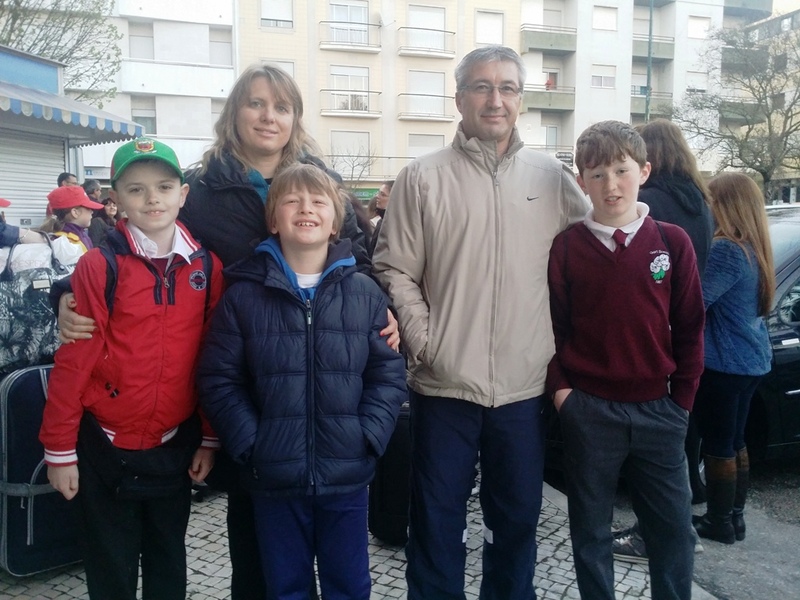 On Tuesday we went to Lisbon and in the evening we met the mayor of Rio Maior. She gave us a present from the salt mines. We saw a monastery and we went to a science museum. We came back to Rio Maior on a bus. The next day we went back to the school. We made origamis in the morning and then we had a break followed by science experiments. In the evening we went star gazing. On Thursday a bus picked us up outside the school. We went to a lettuce factory and then we went to a village where a chocolate festival was taking place. There were lots of shops there and we also went to another monastery. On Friday we played Plickers and talked about a book called The Little Prince in the school. We also baked lemon cookies. Then we went to Nazaré. We went to a restaurant and the beach. The waves were big. We then went home with our families and at 8 o’clock we went to the farewell party. There was plenty of food and every school had to sing or do some sort of dance. In the morning we went to the airport in Lisbon and flew home to Dublin. We got a taxi to Heuston train station and got a train back to Claremorris.